Dan Jansen's story isn't just about an athlete. In 1988, Dan Jansen's sister died on the day he was to skate for Olympic Gold in Calgary. He fell, twice, but got up with dignity and finished the race. 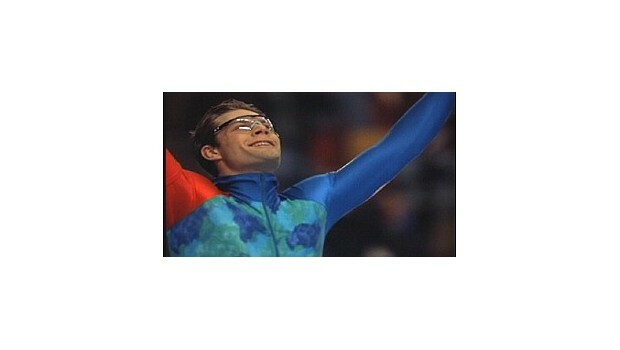 In 1994, in Lillehammer, he fell in front of 90 million people and had one chance left. And then he won not only the Gold, but he set World and Olympic records. It's a story of life. Who hasn't slipped and fallen? Who hasn't worked hard and still lost? The more important question is Who will bow to defeat, and who will never ever give up? Every organization and individual can find a way to apply Dan Jansen's story to their work and personal lives. In this video, you'll experience his anguish, then celebrate his explosive victory that moved the entire world to a standing ovation. After this compelling, thought-provoking meeting opener, you'll never again hear: "It can't be done."